This coming week, Nov. 17-19, 2015 I will be participating in the World Strategy Summit in Abu Dhabi, UAE. I will be a keynote speaker alongside Tom Peters, Gary Hamel and Rene Mauborgne. Tom Peters co-authored one of the top 10 business books of the 20th century, In Search of Excellence, and made popular the topic of corporate culture. Gary Hamel, a London Business School professor, is an expert on innovation and transformation. Rene Mauborgne is the co-author of the strategy best seller, Blue Ocean Strategy. 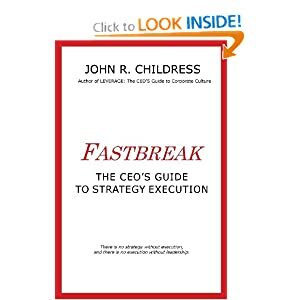 On Nov 18th I will be giving the keynote address on Strategy Execution. And the next day giving a 3-hour workshop on the Hidden Barriers to Strategy Execution. Needless to say, I am thrilled to be invited to this global event and to share the stage with some of the biggest names in business education. Besides sharing my thoughts and experiences on strategy execution, I am looking forward to coming back with some new insights and ideas to pursue. As well as meeting hundreds of interesting people. My Keynote Speech: There is no strategy without execution! My keynote will focus on three key insights I have gained over the past 40 years of consulting on why so many good strategies fail to deliver the expected results. If you subtract the 30% of strategy failures caused by a poor strategy and lack of funding, the remaining 70% can be attributed to poor execution! Business teams just can’t deliver the goods. While there are many reasons, my keynote will focus on three. Less than 14% of employees have seen or understand the strategy. 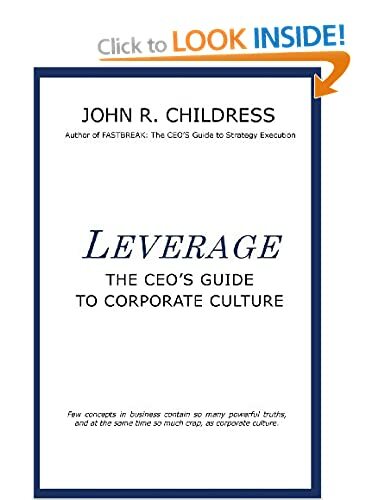 Corporate culture often acts as a barrier to effective strategy delivery. Disciplined governance of strategic initiatives is notoriously lacking. I will be presenting case studies featuring Lycoming Engine Co, Ford of Europe, Continental Airlines, Three Mile Island Nuclear plant, Global Banking, Blackberry, British Petroleum, Zappos.com, the America’s Cup Yacht Race and Korean Airlines. Stay tuned for my next few blog entries from Abu Dhabi and the World Strategy Summit. This entry was posted in consulting, corporate culture, leadership, Organization Behavior, strategy execution and tagged Abu Dhabi, Blue Ocean Strategy, Corporate Culture, Ford of Europe, Gary Hamel, In Search of Excellence, Jack Welch, Lycoming Engines, Rene Mauborgne, strategy execution, Three Mile Island, Tom Peters, UAE, World Strategy Summit, Zappos.com. Bookmark the permalink. You go, John. Very exciting and well deserved.